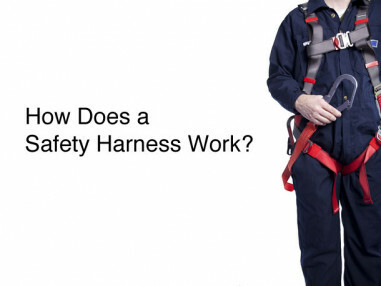 How Much Weight Can My Safety Harness Support? Not all safety harnesses are created equal. It is easy to think that because a harness has ANSI stamped on it that is will be safe and compliant with OSHA. That is not necessarily the case. So, how do we assure that the harness we purchase or currently is designed to hold my weight and body size? Sometimes questions have a simple answer but can have a long and complicated explanation. It is equally important to understand the context of the solution, no matter how simple it may be. 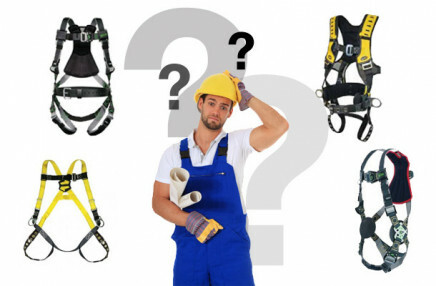 In short, the manufacturer and only the manufacturer can tell you the weight ranges for your safety harness. That can typically be found on the tags of the harness or by reading off a serial code to there customer service department. This will always be the correct answer. No one has the real, tested, and manufactured to specifications on this information other than the ones who made it. In the same vein, OSHA will always defer to a manufacturer. ANSI plays a major role in how harnesses are manufactured. ANSI is the organization responsible for developing safety specification and testing guidelines for most of the personal protective equipment you use on the job, including harnesses. In this case, the standard in question is the ANSI/ASSE Z359.1-1992 (R1999). 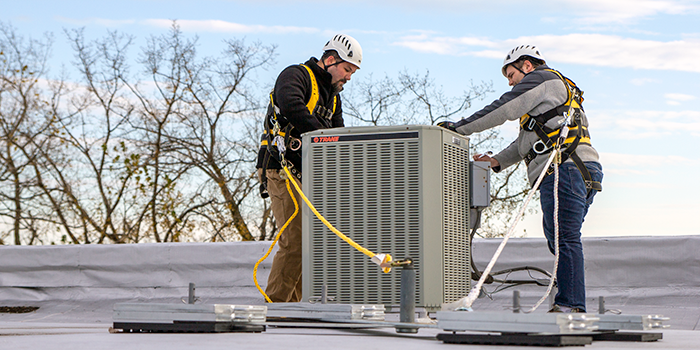 This standard gives specification and testing guidelines for the various components of your fall arrest system (i.e., harnesses). The weight range covered is from 130 lbs to 310 lbs. Therefore, most standard harnesses will support up to 310 lbs. Note most, not all. This begs the question, why did ANSI use that weight range? You may already be aware that OSHA requires that no more than 1800 lbs of force be placed upon the body in a fall arrest event. With a person in the 130 to 310 lb weight range, the standard equipment available (harnesses, 6 ft. lanyards with deceleration devices, manufactured anchor points, etc.) should keep the forces on the body below that 1800 lb limit. Increased weight leads to increased risk in the event of a fall. 2) additional weight could cause additional sag or stretch of the fall arrest system itself, meaning a longer free-fall distance and other forces on the body. So what should heavier workers do? Simply put, heavier workers who need to be in fall situations must have additional design considerations for their fall arrest system. Modification to your deceleration, lanyards, anchor points, etc. will be needed in addition to your harness. Some manufacturers produce harnesses that accommodate workers up to 400lbs. 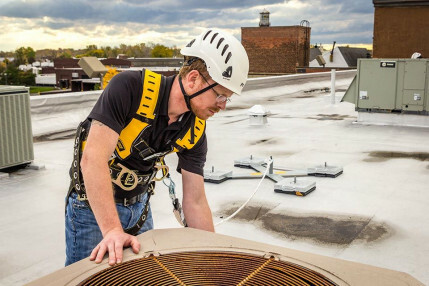 A heavier worker in this range who uses one of these harnesses may be safe as long as the rest of the fall arrest system has also been addressed. Again, we point back to the manufacturer to dictate if this harness will work given your current situation. More than just body weight! Finally, it is important to note that each of the weights discussed here are not solely the weight of the worker. To properly ensure your harness is acceptable, you must take into account the weight of the worker as well as any clothing and attached equipment/tools. The best thing to do is to calculate for your worst case scenario (for example, remember that a worker will be wearing much more clothing in the winter months in northern regions than in the summer months).